RGB LED Spot/Effect Light Bar - Set-up and teardown in minutes with the included carry bag! LED powered, color-changer system complete with its own travel bag. 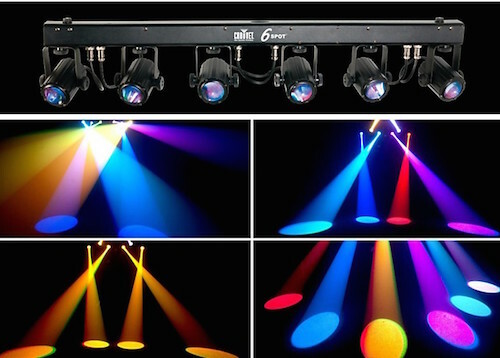 Six individually controllable and positionable heads each contain a high-power tri-color LED that creates 7 popular colors. 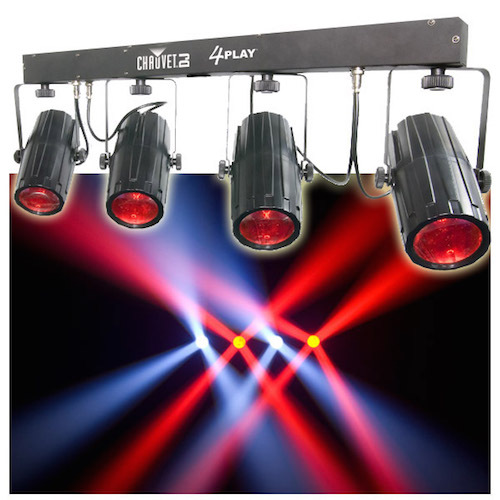 The unit can be controlled via DMX or by running automatic or sound-activated programs. The fixture easily slides onto most standard tripod stands or can be mounted onto truss.